Winter discount! Order forged items from December 1 to February 28 and receive a 10% discount. For what it is necessary forging? The person lives in the fine house, but after a while it seems too usual and that it nothing differentiates from other houses. Even the comfortable house is arranged with expensive furniture, which interior is decorated with originals pictures of old and modern artists, sometimes it will remind an official room if in it there is no something unique, that inherent only to it. 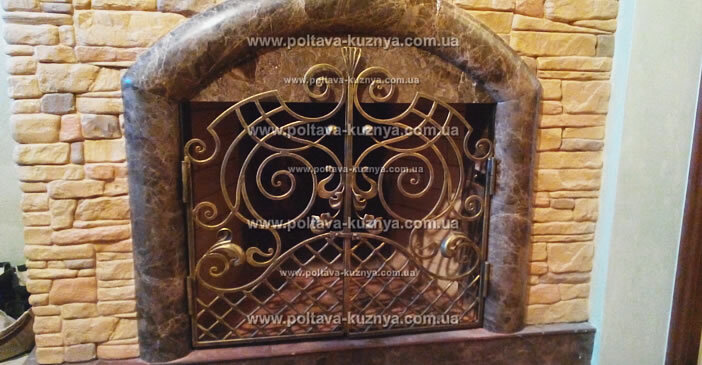 Decorative art forging is that ideal stroke that will transform your dwelling in the cozy house where also to you and your visitors it would be desirable to spend as much time as possible. Souvenir products: forged roses, fireplace accessories, forged florists and many other things add to any house especial charm, the house looks simultaneously beautifully and solidly. Elements of forging allocate your house among traditional private residences of the majority of neighbors. 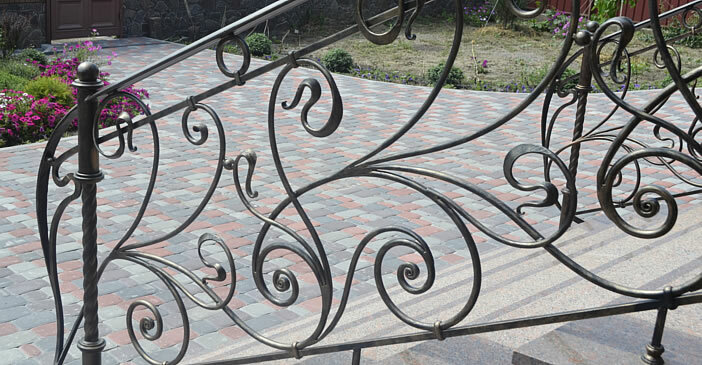 Forged products are your chance to emphasize beauty and originality of an apartment, a house or a garden. Forging adds the certain status to the owner of a house; it is some kind of the card of the owner. Forged details serve in many houses not only as an items of an interior, it often reinforce prestige of their owner. Forging is known not only by its beauty and quality, but also its durability. To decorate the house or a garden with forged iron became a good form for prosperous people. If you want really to decorate the apartment, the house or a garden in the best way it can be made with the help of forging. 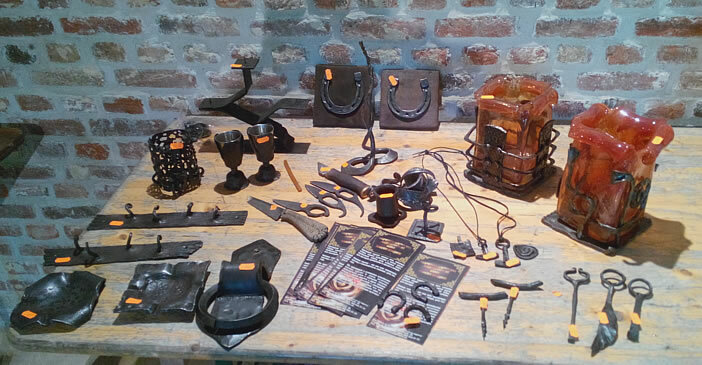 Forged products are created as if to add to the house, an apartment or office of nobleness. 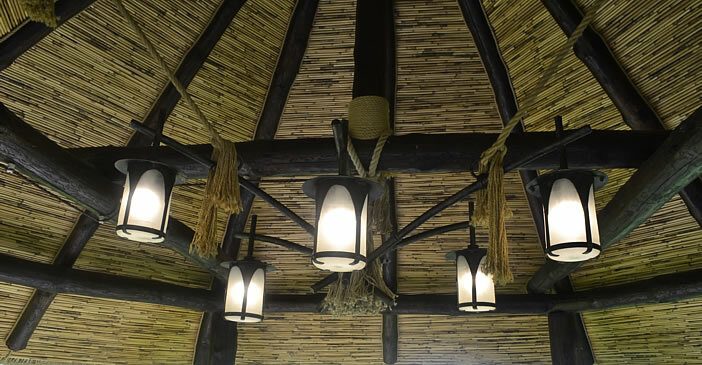 Today's popularity of art forged products speaks that they ideally supplement an interior, give to it unique shape. And thus forging is organic in any style and any space. Art metal is unique by its compatibility with other materials - a stone, glass, wood, majolica and even textiles that gives for the artist on metal boundless opportunities for creativity. 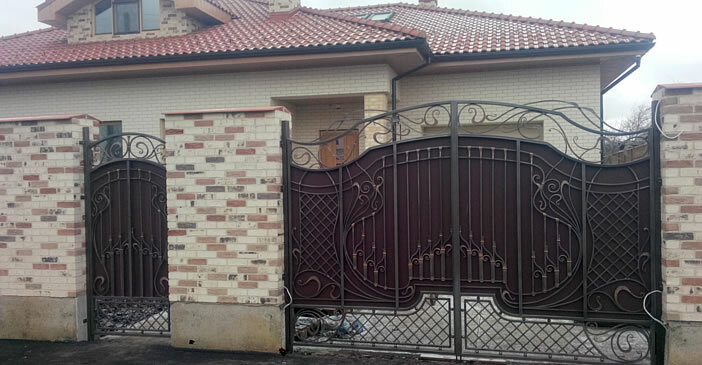 We design and make various forged products from steel, various metal fences and protections, stylish window and door lattices and others forged products for private and state customers. We invite to cooperation with us all individuals and businessmen and those who are interested with the world of art forging and manufacturing of unique masterpieces of art forging. 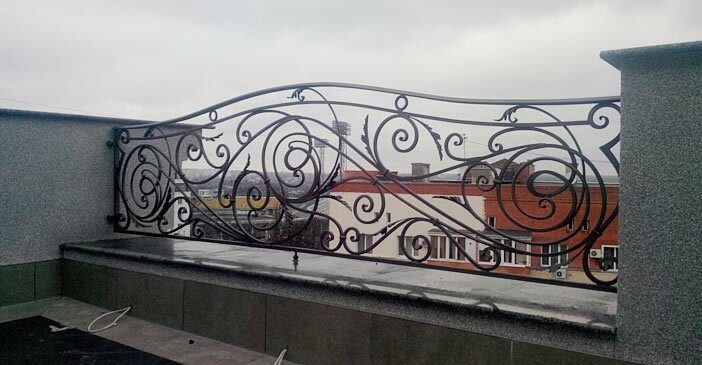 We suggest to you metal protections of balconies, <ladders and forged fences, fencings, a gates from a warehouse and to order. Our designers will have design for you the individual project that will have combine advantages of metal as material and skill of ours experts on forging. Forged protections are not simply a fence for protection of territory, but also the real work of art. Among our products: forged signboards, forged canopies placed above an entrance and professional forging metal, including manual forging and manufacturing of items of an interior, and also art forging products in style of XVIII - XIX centuries. Modern forging metal combines advanced achievements in area of a forging and centuries-old traditions of the past. Therefore we aspire to improve the methods of manufacture and to use all best that is today. Besides we suggest to you manufacturing of fences to order or delivery of modules from a warehouse. 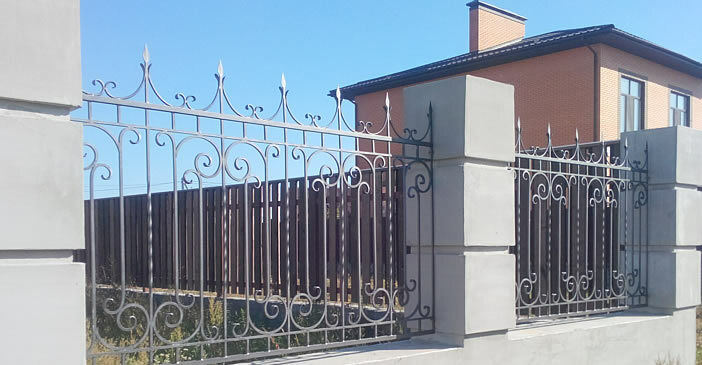 Now installation of fence from forged steel is considered as an attribute of respectabilities and good taste, and forged furniture (beds, sofas, armchairs, tables, chairs) and items of an interior (forged supports for flowers, flower beds, shelfs, lusters, floor lamps, a sconce, candlesticks, frames for mirrors, door handles, loops), forged fireplace accessories and lattices, forged supports for firewood underline refinement of a house also will make it really unique. Forged products of landscape gardening (forged summerhouse, benches, tables, bridges, lanterns, a barbecue, mangals, etc.) will create an atmosphere of a cosiness, beauty and reliability, that so it is important in the modern world.